Water Pump Repair Sudbury | Water Pumps | Castle Plumbing & Heating Ltd. Here at Castle Plumbing & Heating we’re a leader for water pump repair and installation in Sudbury and the surrounding areas. In fact, we are the only repair shop in the area for jet and piston pumps. We can also sell and service many other kinds of pumps including, submersible, sump, sewage and irrigation. 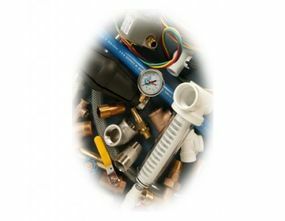 We also carry a full line of pressure tanks, heat trace cables and other accessories for your water supply system. Not sure what type of pump is right for you? Our experts can also help you design your custom water supply system so you can be sure your system is exactly what you need. For more information contact Castle Plumbing & Heating today! This Berkeley® ProJet SN Series Pump will provide excellent performance with good pressure for wells up to 25 feet deep. It features a self-priming function after the priming chamber has been filled with water. 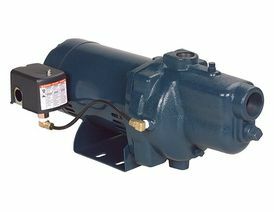 This Goulds pump is perfect for use in home, cottages and small residences. The high pressure model allows for a max cut out of up to 83 PSI, compared to the standard max cut out of 63 PSI. It features a corrosion and mineral resistant paint inside and out to prevent rust and unwanted mineral build up. 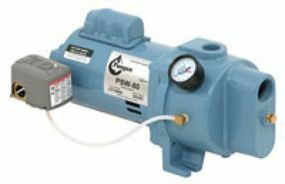 Built for easy customization, this pump covers a variety of performance needs. With their patent pending nozzle replacement system and a small Allen wrench (included), the internal nozzle can be replaced with any of the three nozzles supplied to provide standard performance, high pressure, or high flow. This cast iron shallow well Pompco jet pump is perfect for homes or cottages. Made of grey cast iron, these parts are specially coated with a tough corrosion resistant paint. This pump, with proper maintenance can last more than 50 years. Models available include S-275: 275 gallons/h (1040 litres/h), S-450: 450 gallons/h (1703 litres/h) and S-600: 600 gallons/h (2271 litres/h). 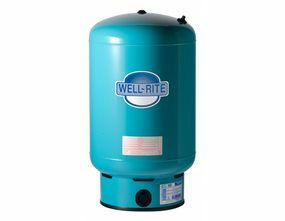 Well-Rite steel pressure tanks are high pressure, seam welded and helium tested to ensure no leaks; and feature heavy-gauge steel tank construction. Its capacity ranges from 14 to 119 gallons and features a stainless steel connection. 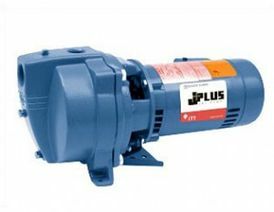 This is a great pump for applications with a limited power source such as a solar system or use of a generator. It features soft start up on 115V or 230V so it is easier on your power system. It is available in flow rates of 5, 10, 15, 22 and 30 GPM; and can manage head up to 450 feet at 5 GPM. 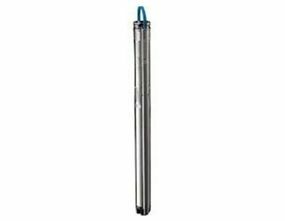 This 4" submersible was designed with quality and reliability in mind. This model will perform efficiently under the hardest conditions including abrasive water. Bracket, discharge head, external check valve, shaft, discs and pump housing are made from stainless steel. 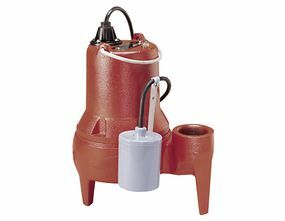 Liberty Pumps® grinder pumps are designed for sewage applications. 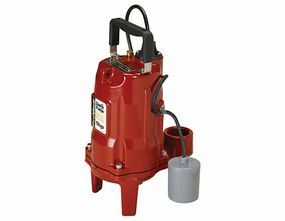 This pump features a cast iron construction and Patented V-Slice® cutter technology to shred difficult solids such as feminine products, rags, towels and wipes that can jam a solids-handling style pump. Higher flow rates allow use with 2" discharge lines. 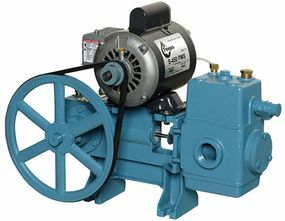 This pump operates on standard 115 or 230 volt 20 amp circuits. Heavy-duty built and reliable, Liberty's LE-series is the perfect choice for residential sewage applications. 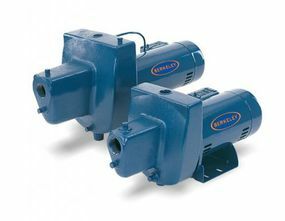 Featuring all cast iron construction with an epoxy powder coat finish, stainless steel fasteners, quick-disconnect power cord and a vortex style impeller for superior solids handling, the LE-series combines solid performance with exceptional value. There is a vertical float option available on the 115V model. 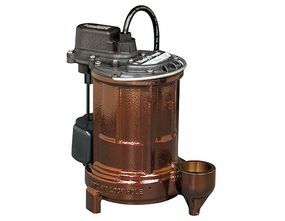 Liberty's "workhorse" sump pump features a unique one-piece cast iron body, quick-disconnect power cord and three different switch options - including a Vertical Magnetic Float design (VMF) for smaller pits (model 257). 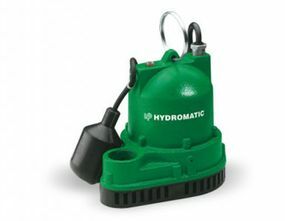 This is the most popular series of Hydromatic® sump pumps and features a carbon-ceramic mechanical shaft seal with a single-row ball-bearing construction. The Hydromatic W-A1 sump pump is specifically designed to meet the demands of basement sump and septic tank effluent applications.